Your wedding will be one of the most important and life-transforming days you will ever experience. It is a celebration of loving happiness, commitment and prosperity. At the culmination of your vows, you and your new spouse will never again be regarded in the same way as before. There is a lot of pressure on couples getting married today, with so many highly publicized celebrity weddings that are always a point of comparison. While you want your wedding to be the most talked about event ever, getting that to happen can seem vague, at best. The best plans begin with first choosing just where you’ll be married, and if elsewhere, your reception venue. For couples who have always envisioned their spectacular wedding reception at a specific place, securing that venue is critical, and should be transacted as soon as possible. This area is rife with truly elegant and awe inspiring wedding venues. While a couple in the very first phase of planning their big day, even if they are in agreement on a particular spot, they need to make sure they’ve discovered all the possibilities this area has to offer. The specific ambience of your wedding venue will set the tone for everything else, so everyone with a wedding in their future deserves to know about the best choices around. The Carolina Club, Chapel Hill, N.C.
With many years of combined event catering experience, the Carolina Club team is here for your dream wedding, every step of the way. The lovely Alumni Hall reception site will enthrall you and your guests with a magnificent backdrop view of Kenan Stadium for a stellar Carolina wedding. 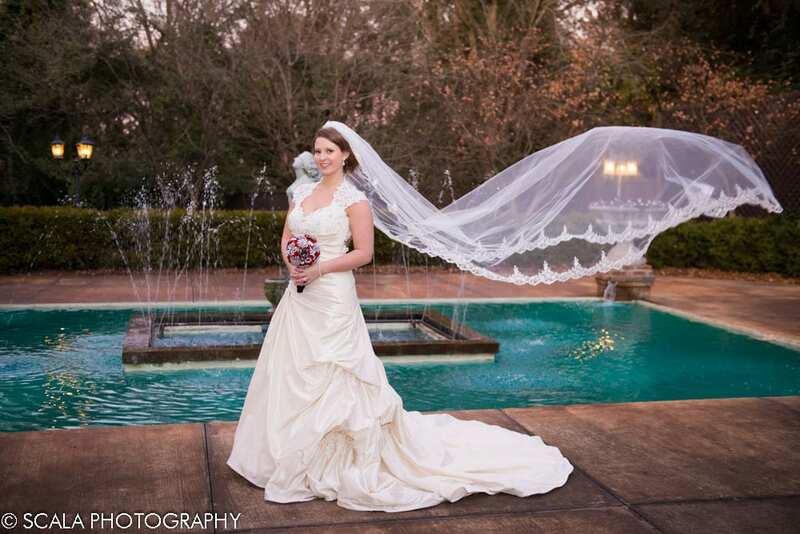 With both indoor and outdoor options, every detail is supremely covered, with white garden chairs, dressing rooms for everyone in the bridal party, a cocktail reception, a unique indoor reception area, plated dinner, dance floor and a cake cutting service. Additional inclusions are all linens, set up and break down, plus more. Exquisite cuisine and royal service are your guarantee. In 1819 or 1820, Mr. John Barclay and wife Mildred arrived from Pennsylvania and purchased a 510 acre tract of land along the Old Stage Road (now officially Angier) and there built Barclay’s Inn as a welcoming spot for travelers between Raleigh and Fayetteville. Always revered for its well-known Finest Southern Hospitality–Barclay Villa’s excellent reputation now draws visitors from all over the world. Enjoy a lovely stroll through the halls and gardens here, and you’ll discover why Barclay Villa is an ideal wedding venue. This magnificent mansion exudes the ambience of history’s finest European castles. With varying packages, this special venue consists of both the villa and gardens, and can accommodate up to 150 guests. Catering and all vendors are the responsibility of the bridal party. Just 30 minutes from downtown Raleigh. Cafe Luna, 136 E. Hargett St. Raleigh, N.C.
Set directly in the heart of downtown Raleigh at Moore Square, Cafe Luna offers the best of urban elegance, in a dramatic and sophisticated ambiance. With superb Italian cuisine and superior selection of fine wines that is matched by outstanding service for the consummate wedding experience. Cafe Luna offers seating capacity up to 150 reception and 100 ceremony guests. And there are no rental fees–with price per person pricing. Included are all soft drinks, unlimited premium wine and beer and setup and breakdown of your event. You’ll receive (price inclusive)linens, silverware glassware, and plates. Use their in-house cake cutting service.